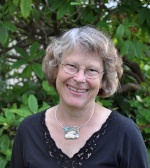 Suzan Huney's non-fiction essays have been published in numerous literary journals and in the Seattle Times. 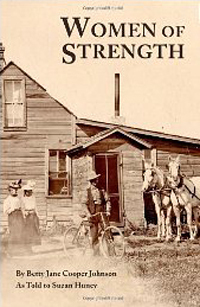 In 2011 Huney and her aunt, Betty Jane Johnson, published Women of Strength, an oral history of Johnson's life. Johnson, born in 1923 in North Dakota, was the last of nine children. Despite family tragedy and poverty, her family stuck together and after WW II Betty, her sister, and their husbands, moved west. Arriving on Bainbridge Island without possessions, she ended up selling real estate, tended a small farm with a few cows, and raised a family. Huney and Johnson's memoir is a well-written story about facing life with strength, grace, and love - set against the backdrop of 20th century American history. A recent article in the Bainbridge Islander describes the book.